While party sources indicated that this “massive pruning” will not be a template for selection of candidates in other states, the possibility of similar “pruning” in Rajasthan and Madhya Pradesh, where too the party lost power last year, cannot be ruled out. Springing a surprise and signalling a shift in tactics, the BJP Tuesday said it will not field any of its sitting MPs or candidates who lost the 2018 assembly elections in Chhattisgarh for the Lok Sabha polls in the state. Those to be directly affected include senior leader and Raipur MP Ramesh Bais and former Chief Minister Raman Singh’s son and Rajnandgaon MP Abhishek Singh. It is not clear whether Raman Singh, who is an MLA, will be considered a candidate for Lok Sabha. “We will have fresh faces in all 11 constituencies… the list will reflect the mandate the party got in the assembly elections,” said Jain who is the party in-charge for Chhattisgarh. 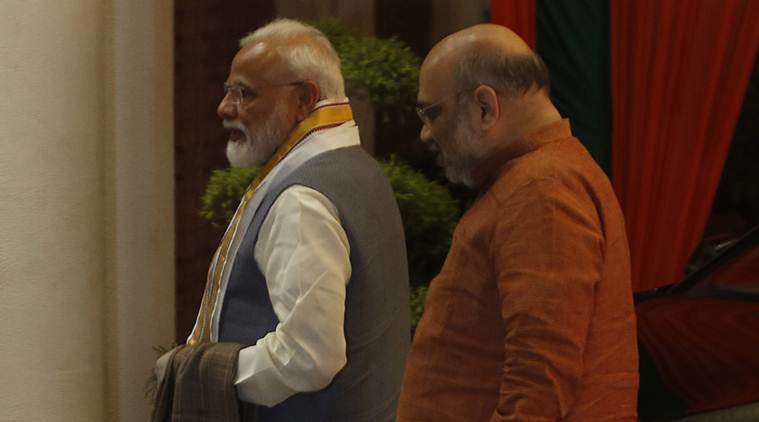 The BJP was handed a drubbing in the assembly elections in the state — its 2013 tally of 49 dropped to 15 in 2018 and the voteshare fell from 41 per cent to 32.9 per cent. Backing the decision not to field sitting MPs in Chhattisgarh, a party leader said this should ensure victory in the Lok Sabha elections. At the same time, the leader cautioned it could lead to “protest and anger” among party leaders in the state. At a meeting of the BJP parliamentary board last month, the party leadership made it known that “winnability” of a candidate would be the primary criterion for ticket distribution. Chhattisgarh will vote in three phases — one seat (Bastar) on April 11, three on April 18 and seven seats on April 23.